So according to Reddit the people on /vp/ on 4Chan are working on a Pokemon clone with all new monsters, some of those puns are amazing, I particularly like Thoraxe. They have their own forum separate from 4Chan and a Wiki too. I can’t check the link out at the moment but several people on Reddit have tried out the demo and it apparently looks pretty good. Downloader beware though I have no idea what is in the exe file. I have to admit despite having only ever played a Pokemon game for about 6 hours, purely for scientific reasons I assure you, I am intrigued by the obsession that the series manages to invoke in people. They have been releasing the same game with the same graphics since 1996, and yet the level of fandom the game has accrued is immense. 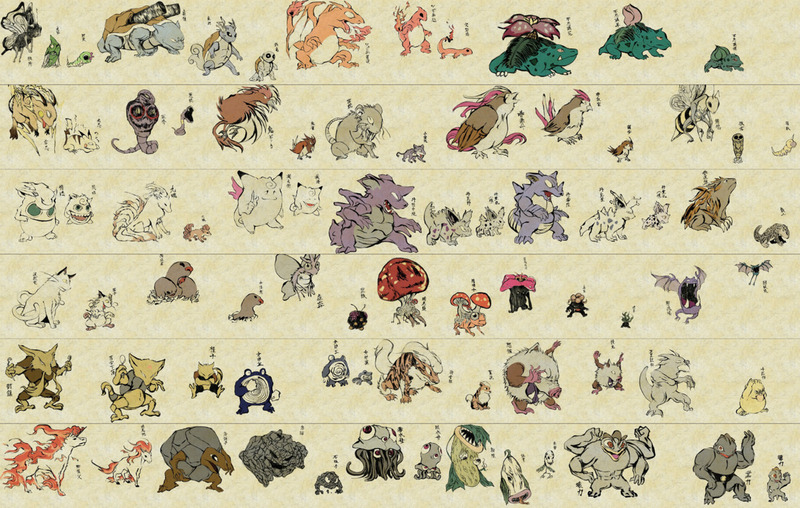 I’ve often debated making a mobile phone version of Pokemon just for a laugh, the programming wouldn’t be very difficult, but the thought of having to come up with a few hundred monsters is unbelievably daunting.